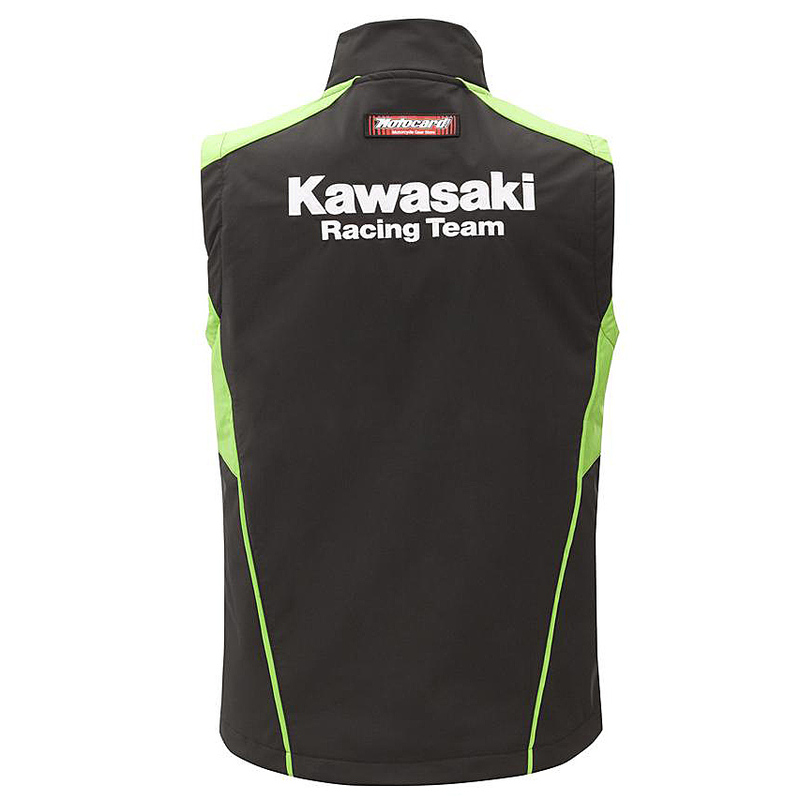 High quality polyester with fleece fabric inside combines with Kawasaki Racing Team style in this fashionable body warmer. 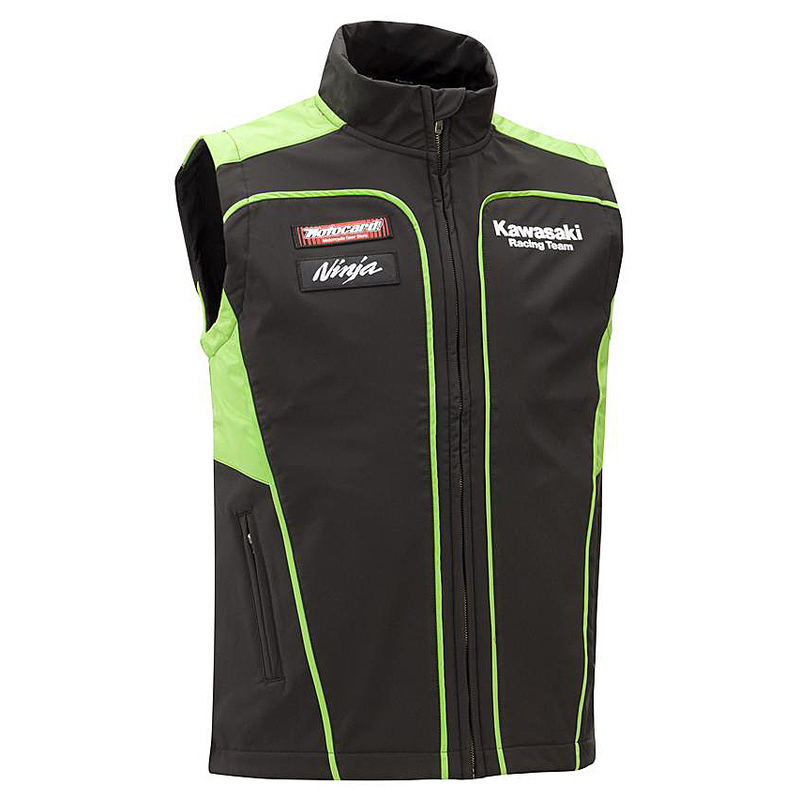 Kawasaki-green piping enhances the racing spirit and gives a sporty image. The front zipper goes all the way up to guarantee a warm neck. There are white embroidered Kawasaki Racing Team logos front and rear while the sponsors are woven stitched patches.